Yes, it is cool outside. It has been for a few days. This looks like day three of not breaking 40F. Normal for where I live in November. 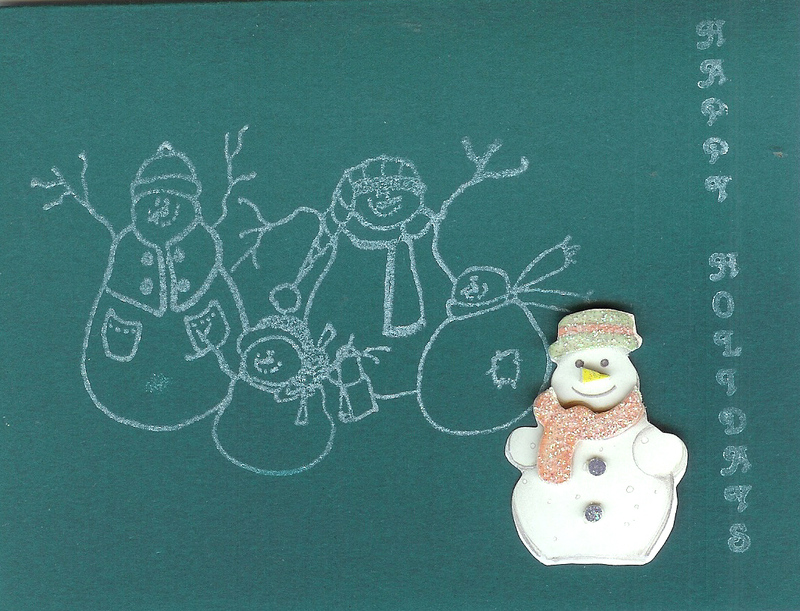 I am spending some time today making Christmas cards. I have bought some cards in recent years but for the most part I make my cards so the next few posts may have no words, just pics. The card above is on forest green cardstock from Marco’s Papers. The stamp is Anita’s stamps which AC Moore carries. I stamped it in pearlescent jade Brilliance ink. I can honestly say I don’t remember where the wording came from. It is an unmounted vertical saying. My mom found these cute little snowmen stickers so I have added that. Previous Post What’s Your Opinion of PDA in schools?